SpaceX has completed their 5th launch of the year with the delivery of the TurkmenAlem52E/MonacoSat satellite to orbit. 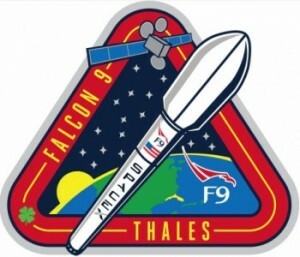 The launch was delayed several weeks to allow SpaceX time to investigate issues they found with Helium bottles back at the factory and to allow the CRS-6 mission to take off on time. With this launch SpaceX once again broke there turn-around record with just 13 days between launches. Due to the weight of the satellite and it’s destination orbit SpaceX flew the Falcon 9 without the landing hardware to lower the weight of the vehicle. The next launch that will attempt a landing will be the CRS-7 mission in June. This is the first satellite launched for Turkmenistan.